Government is looking at developing the biggest tech hub in Africa, a coding and programming academy as well as co-working and co-creation spaces for the youth and start-ups in particular. 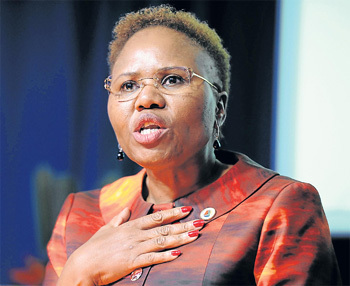 “Through the Small Enterprise Development Agency (seda), my department, in partnership with the Department of Telecommunication and Postal Services, has started a conversation to develop the biggest Tech Hub in Africa…” Minister of Small Business Development Lindiwe Zulu said on Friday. She was addressing an engagement session with the creative industry in Johannesburg under theme ‘Leveraging on digital platforms for 4IR creatives’. The session was led by Communications Minister Stella Ndabeni-Abrahams and Deputy Minister Pinky Kekana. The one-day engagement focused on broadcasting, audio-visual and new platforms, as well as the 4th Industrial Revolution (4IR). Zulu said the technological revolution must improve and advance the lives of South Africans. “It also becomes important that Small, Medium and Micro Enterprises (SMMEs) and Cooperatives embrace this radical reshaping of the relationship between technology capabilities and business opportunities. “Incubators must focus on creating a new generation of South African Start-ups that will drive the creation of disruptive technologies in the creatives industry,” she said. The Minister said South Africa is well placed to benefit from the potential of the information and communications technology (ICT) sector in the future. The Minister said the size of South Africa’s gross domestic product (GDP), its levels of per capita income and productivity gave it an advantage to lead in the ICT sector on the continent. In addition, the increasing contributions from South African firms to producing for the continent and world value chain of manufactured goods, as well as the above-average level of innovation infrastructure in which business, government and research interact, are putting South Africa in a favourable position to lead this space in Africa. “If South Africa wants to build on its existing strengths, it must not wait longer with making meaningful, and sometime bold, changes. It must overcome its current complacency, political complexity, and inertia to act. “South African initiatives are likely to be successful only if they happen in an integrated manner and, importantly, create more scale and scope for growth across Africa and create the conditions that allow a greater role for consumers and businesses to drive the impact of new technologies through their effective use,” the Minister said. In his State of the Nation Address, President Cyril Ramaphosa announced the appointment of a Presidential Commission on the Fourth Industrial Revolution. The commission will serve as a national overarching advisory mechanism on digital transformation. Ndabeni-Abrahams has urged the creative sector to work with government in developing policies for 4IR. “Please walk this path with us as we develop policies for 4IR so that we are able to move from an informed point of view. Through the Fourth Industrial Revolution Commission, we are establishing work streams. “Once the induction has been done by the President, we will be able to invite more participants to look at the matter holistically,” the Minister said. Dr Brian Armstrong, a pre-eminent thought leader on digitalisation and business strategy and Professor of Digital Business at the Wits Business School, emphasised the importance for South Africa remaining competitive in the global economy as it moves to the Fourth Industrial Revolution. “We need to understand the impact on the future of work and what it means for employment, new modes of employment and new ways of engaging between employers and employees. “It is critical that we focus on the opportunities… and understand the critical success factors,” Armstrong said. He said the future work for creative roles are less vulnerable to technological disruptions and automation. “Computers struggle to do three things at the moment and will continue to do that. These include roles that are iron created intensity, creative intelligence, roles that are high relations intelligence and roles that are high in construction dexterity. “The more technological the world becomes, the more important it is to focus on our humanity to differentiate ourselves from the machines and retain value,” Armstrong said.